In short, Collaborative Divorce Law is a way for soon-to-be ex-spouses to settle their divorces smoothly, quickly, privately, less expensively, and without using the court system (except for a brief, non-adversarial ten-minute Hearing at the end when a judge enters their final judgment). Kulerski & Cornelison Divorce Lawyers brought this new alternative dispute resolution process to Illinois in 1999. We were the first law firm in Illinois to advocate and promote it. The problem, back then, was that we had no one to collaborate with, because no other attorneys had heard of this settlement process. We even highlighted it on our website in 1999. 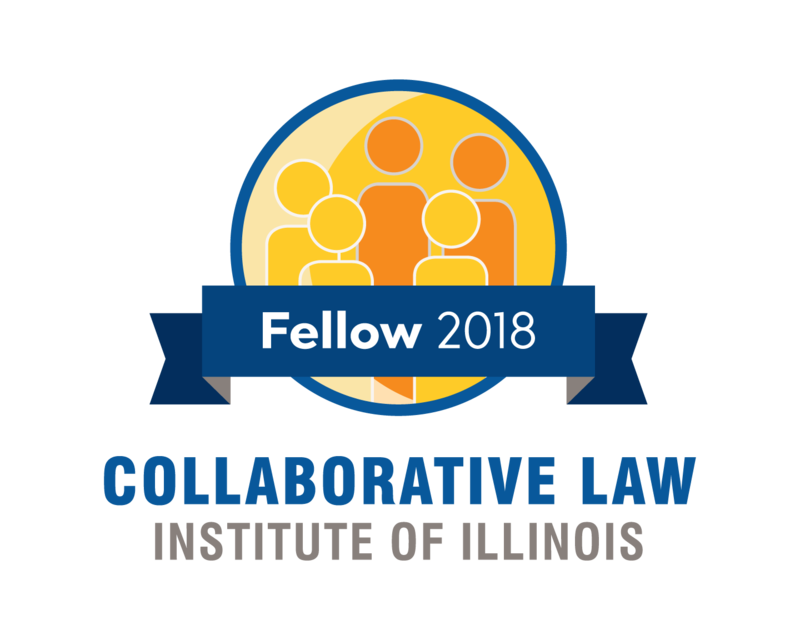 In 2002, our partner, Richard Kulerski, and some twenty other lawyers, health care professionals, and financial experts got together as charter members and formed the Collaborative Law Institute of Illinois (CLII), which now has 100 plus trained attorneys who have committed to this settlement approach to divorce. Collaborative Law is more than just someone’s idea of how to make divorce easier on its participants, it is now a law in Illinois. It is officially a recognized way to process a divorce. The Collaborative Practice Act became effective in Illinois on January 1, 2018 (750 Illinois Compiled Statutes 90/1 et.seq. Six months later, on July 1, 2018, the Illinois Supreme Court issued its Rule 294 covering certain aspects of collaborative law, and thereby also put its stamp of approval on it. Rule 294 mandates that both attorneys withdraw must from the case once either spouse opts to quit the collaborative process and go to court. Other attorneys from the lawyers’ offices are also barred from representing either of the spouses. Collaborative law is a revolutionary new way of dealing with legal disputes. It is not limited to any area of practice but it is clearly rooted in family law. 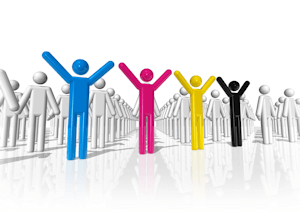 Collaborative law is focused entirely upon settlement which is its only priority and goal. As a matter of fact, collaborative law prohibits the spouses and their attorneys from using the court system (except for routine processing of agreed papers). COLLABORATIVE LAW GIVES SPOUSES TOTAL CONTROL OVER WHAT IS HAPPENING. Both parties still hire their own lawyers but the lawyers serve as “settlement only” lawyers who sit down with the parties at group conferences and do everything they can to help produce an acceptable resolution. THERE IS NO COURT INTRUSION. The lawyers “put their money where their mouth is” and agree to be fired if the parties can’t reach a settlement. If that happens, the parties would then be free to proceed (with new attorneys) into the very legal system that they initially sought to avoid. This does not double the legal fees. Much of the work is transferable and does not have to be done again by the new lawyers. The collaborative attorneys help to make the transition a smooth one. THERE IS NO COURT INTRUSION. Lawyers working within the collaborative law model still provide the same degree of advocacy required of all lawyers, but they now employ non-adversarial tools and techniques. The lawyers receive training in managing conflict and in the use of cooperative and non-confrontational strategies. They act to minimize and remove the typical impediments to settlement, and they act to ensure that the legal system itself does not derail the chances of an amicable resolution. In collaborative law, there are no adversarial courtroom proceedings, no traumatic hearings, no provocative declarations. Both attorneys intentionally do everything they can to prevent problems from escalating. If both parties have “good will” and are committed to trying to settle, then the path is cleared for them. NO ADVERSARIAL COURTROOM PROCEEDINGS, NO TRAUMATIC HEARINGS, NO PROVOCATIVE DECLARATIONS. Our traditional legal system is based on the assumption that the parties are adversaries and will stay so throughout the process. A direct by-product of this process is a competitive “win-die” approach to negotiation. The system requires the parties to see each other as opponents. They enter the litigation process with gladiator expectations and are greeted with the same attitude. This often exacerbates the negative emotions and feelings the parties may have for each other. Settlement is not a priority in our present system, but winning is. Settlements are reached, but are often reached very close to (or on the eve of) trial. By that time, the parties are disillusioned by the legal process and complain that they have exhausted their spirits and their funds. HAVE YOU EVER MET ANYONE WHO DOESN’T THINK LITIGATION TAKES TOO LONG & COSTS TOO MUCH? The fact is that over 90% of all divorce cases settle without going to trial. Litigants routinely spend months preparing for trial that (statistically, at least) isn’t going to happen. Proponents of collaborative law believe that the energy that was formerly used in preparing to litigate should now be used (at the front-end of the process) in trying to settle. Collaborative law provides spouses with an opportunity to be heard and gives them control over what is happening to them. They are not “out of the loop” but are, indeed, the main characters (and not mere spectators) in their own dramas. OVER 90% OF ALL DIVORCE CASES SETTLE WITHOUT GOING TO TRIAL. The collaborative model attempts to create a dynamic for settlement. Because the court won’t be involved, resolution cannot occur until the other party says “Yes”. That will not happen if the other party is being insulted, disrespected or otherwise treated negatively. If you need the other side’s agreement to get what you want, and he or she wants the same things you want, and neither of you is allowed to go to court to get those things, then resolution can only occur through the use of efficient diplomacy and creativity, which are the hallmarks of collaborative lawyering. Collaborative law is midway between mediation and litigation in the dispute resolution continuum. It isn’t for every spouse, it isn’t for every lawyer and it isn’t for every case. If it’s used, it provides the parties with control of every aspect of their case, including timing, outcome and cost. No other professional dispute resolution method is consistently as efficient and economical as collaborative law. It softens the divorce experience. It engenders a sense of safety instead of fear. It insulates the children from the dispute. It generally saves the parties some 50% – 80% in attorney fees. It’s much quicker. Most people require three to seven 4-way meetings. The spouses do not engage in expensive legal proceedings just to obtain financial information from each other. Neither spouse is forced to accept a solution that does not meet his or her interests and needs. 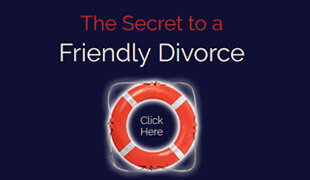 It gives the spouses control of the cost and the outcome of their divorce. Nothing happens until they say yes. There is a parity of payment to both lawyers. Neither spouse’s representation is disadvantaged by lack of funds. Less healing time is involved. The spouses control the amount of information that becomes part of the public record. If 90-95% of all cases are settled before they actually go to trial, then shouldn’t the divorce attorneys spend much more of their time just flat-out trying to achieve a settlement rather then preparing for a trial that isn’t going to happen? 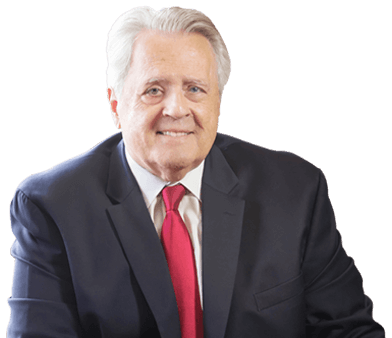 In a collaborative divorce the spouses and their attorneys work together to come to a mutually beneficial divorce agreement without a litigious court appearance. There are may reasons to seek a collaborative divorce here are five. Collaborative Divorce Saves Money — When you use a non-adversarial approach to your divorce you will save money because you’re going into the divorce more realistically. The experts who look at your situation will properly advice you on what is a realistic expectation from the settlement instead of an all or nothing approach. 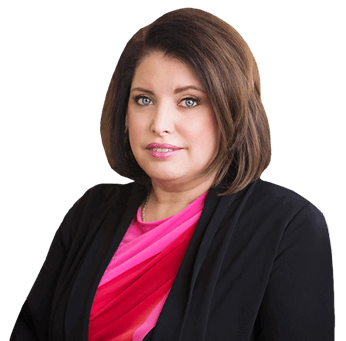 Collaborative Divorce Reduces Trauma — In many ways a collaborative divorce is a lot like mediation except that the lawyers and other professionals are present helping each client get their views heard completely. Mediation can be challenging because it’s just the mediator and two emotional divorcing people who may give in to things they don’t want to without the advice of their attorneys. This can be very troubling, but with collaborative law you can be assured that your attorney is present at all times and is watching out for you. Collaborative Divorce Saves Time — By focusing on resolving conflict instead of increasing conflict like a litigious divorce can do, a collaborative divorce conducted in Cook and Dupage Counties can save a lot of time. Many collaborative divorces can be finished in a matter of months, whereas a court battle can increase the time by years. If you want out of your marriage faster, seek a collaborative divorce. Collaborative Divorce Reduces Animosity — By reducing the opportunity to place blame, and fight about the past, animosity is reduced greatly. Focusing on realistic solutions for the settlement during the collaborative divorce process, rather than why one is divorcing, is an essential element of reducing acrimony. Collaborative Divorce is More Private — The actual extent of your income, assets, and debts can be kept out of public records.